Isagenix Australia & NZ IsaBody Challenge - Up to $50,000 in Prizes! If you’re ready to go all in and transform your body into a lean, calorie-burning machine, the Isagenix IsaBody Challenge will motivate you to do just that. Designed to reward you for your hard work, you’re just a click away from realising your weight loss goals and possibly cashing in as well, so enter today! Why Take the IsaBody Challenge? 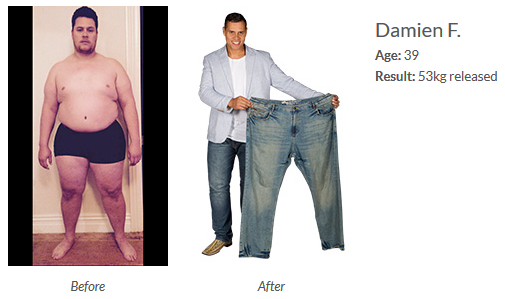 Isagenix believes transformations are for everyone. Therefore, everyone who successfully completes the IsaBody Challenge is awarded $200 in Isagenix products to continue their journey of health and well-being. Every participant who successfully completes the IsaBody Challenge also has the chance to win a share of $50,000 up for grabs! IsaBody Challenge winners are chosen based on their own personal weight loss story. Therefore, participants must submit a compelling essay about how and why improving their physique has improved their quality of life. ‘Before’ and ‘after’ photos must also be submitted. Participants may also submit home videos, additional photos, body fat analyses, and other materials demonstrating their body and lifestyle transformations. An unbiased panel of judges from the Isagenix corporate management team will select the winners. Participants will be scored on a 100-point scale, with the essay and the ‘before’ and ‘after’ photos each worth 50 percent. Since you will be judged on any and all photos you submit, providing well taken photos that clearly show your transformation is a must. Counting for 50 percent of your total score, the written essay must be 250-500 words in length and successfully convey how Isagenix fueled your transformation and positively impacted your life. When writing the essay, try to include how you benefitted from Isagenix, how the products helped you achieve your goals, and how you want to motivate others to reach their weight loss goals with Isagenix as well. The deadline for essay submission is one week after your challenge end date. Responsible for the remaining 50 percent of your overall score, photos of yourself before and after the challenge must be submitted. Each participant must take ‘before’ photos on their start date and ‘after’ photos on the end date. Only full body shots featuring participants in the upright position will be accepted. Your exact end date can be found in your Back Office where your IsaBody Challenge entry is located. You’re only a click away from reaching your goals and beginning your transformational journey with the IsaBody Challenge. This is a unique opportunity for you to change your life for the better starting today! Designed to inspire, support, and reward, the thriving Isagenix community is a shining example of what people can achieve with the right products and system on their side. From weight loss and healthy aging to increased performance and wealth creation, Isagenix allows you to reach your full potential in every area of your life. Don’t take our word for it, however. Take the Isagenix IsaBody Challenge today to witness the transforming powers of Isagenix and get rewarded in the process! Contact us today and we can answer any queries you have, show you how to enter, provide ongoing support and more.